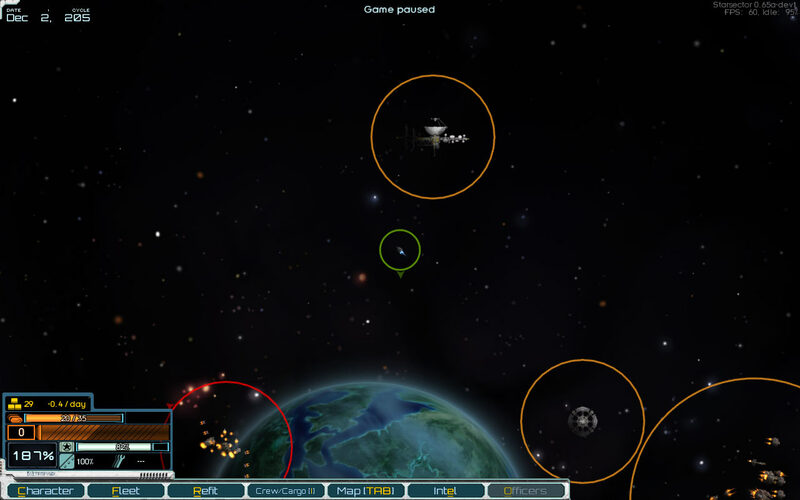 A primary gameplay role of player-built colonies is getting the player into trouble. Generally speaking, this trouble should be resolved through combat, since combat with context and real stakes is fun. 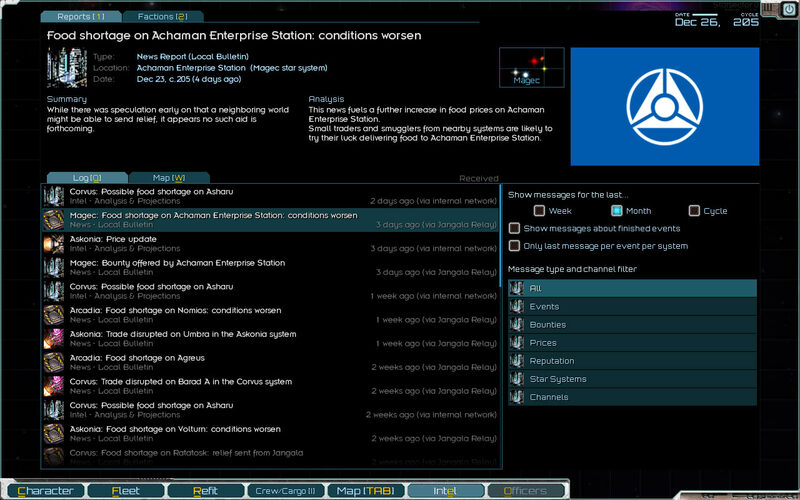 And, after all, what would be the point of building a battlestation if your colonies never got attacked? One natural source for this kind of trouble is, of course, pirates. 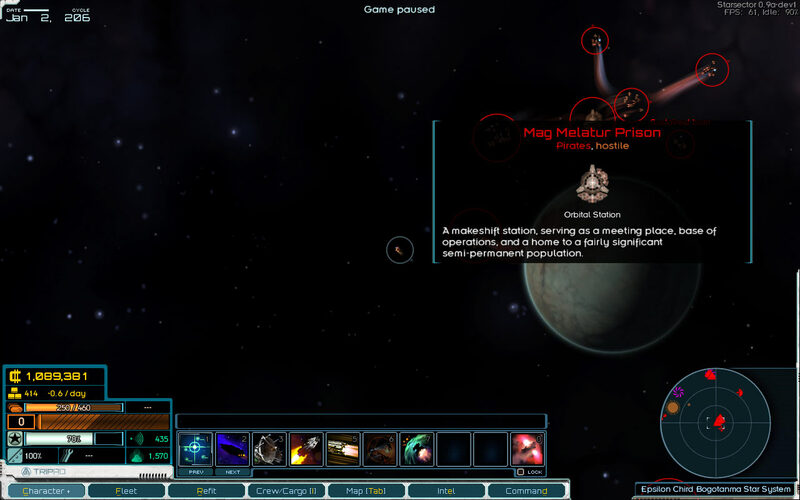 The map UI in Starsector hasn’t changed much since it was first introduced, back when Corvus was the only star system and there was no hyperspace. It’s been tweaked here and there to support new features along the way – terrain, for example – but the core functionality has remained the same. 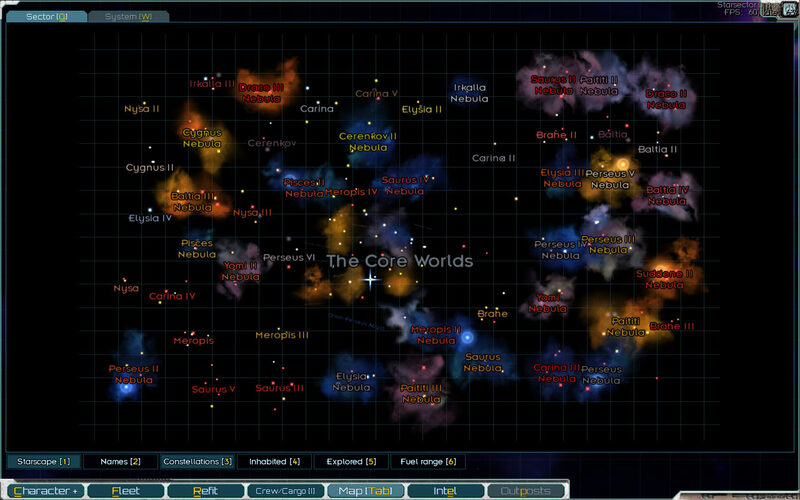 With the upcoming update drastically increasing the number of star systems the map has to handle, and its focus on exploration, it was finally time for an overhaul. Trade and smuggling are closely related, so it makes sense to tackle both at the same time. Smuggling is simply a more detailed case: trade with complications, if you will. If you’re going to have a successful trade run of any sort, the first thing you need is information. 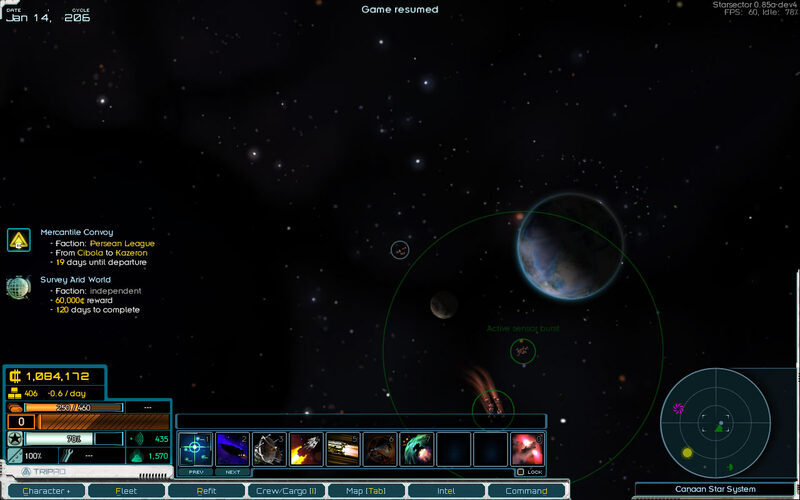 The main way the player gets information is through news reports and intelligence assessments. Information is important for more than just trade, and these reports have a dedicated tab in the UI. For trade, the information the player needs is straightforward: where can they buy or sell something at favorable prices? This kind of information is where things could easily descend into spreadsheet hell, with the player poring over pricing information for every commodity at every market, trying to find the best deals. It’s important to note that it’s not a binary condition (“too much information” vs “a good amount”); how much information to process is “too much” is subjective. So, the approach to managing the amount of information presented is going to be based largely on my own feelings about what seems right. Much of the problem is taken care of right off the bat by the economy simulation. When it reaches an equilibrium, prices are such that trade isn’t profitable. For example, if market A produces ore, and market B needs it, the simulation will reach an equilibrium point where the price of ore on both markets is about the same. Throw in tariffs on both ends (set at a brutal 30%), and shipping ore from A to B just isn’t going to bring a profit… unless something happened to disturb the balance. In some cases, that disruption is directly due to an event. A food shortage will directly increase the price of food. Less obviously, it will also destabilize the local market and decrease the prices of everything else, which may or may not result in other profitable trade runs opening up. What this means is that you can’t rely on news reports of events being the only way to find out there is a trading opportunity. While the number of these opportunities is much more manageable because they’re mostly driven by events and the simulation actively stamps them out over time, the game still needs to keep track of prices and convey that information to the player. Since the last post, I’ve been working on a lot of framework stuff. All of it is directly in support of the content for the next release, but until now, it hadn’t all come together in a way that would make it easy to demonstrate. Now, though, there’s a good vertical slice to talk about; a new piece of content that uses many of the new pieces – the comm relay.